When you interview within your company for a promotion, you have some advantages. Because you already hold a position, you and the interviewer may already know each other. This familiarity does not preclude the need to prepare carefully for the interview, however. Take the necessary steps to ace an internal interview and receive the promotion you desire. Research the position thoroughly. Learn as much as possible about the responsibilities and the job description as you can. Look at the history of the position, and if possible, learn from other people who have held the position. Connect your strengths, experience and knowledge to the position. Make a list of specific knowledge and expertise you possess and make direct connections from these skills to the job position. Be ready to use this data to illustrate to the interviewers why you are the person to hire for the job. Prepare complete answers to interview questions you expect to hear. For example, because you are interviewing internally for a promotion, the interviewer will probably ask you what makes you the best candidate. You might prepare an answer that includes your familiarity with the workplace, your existing experience and knowledge of the company, and your extensive education background that you will use to perform the job responsibilities. If your internal position with the company gives you a special perspective and energetic goals for the position, mention this during the interview. Practice answering the questions you expect the interviewer to ask. Continue practicing your delivery until you can give confident and self-assured answers in an unflappable manner. Dress in business attire for the interview. Regardless of the dress code of the company, wear a two-piece suit (both women and men), a tie (men), conservative dress shirt or blouse and conservative shoes. Make sure your clothing is clean, pressed and neat. 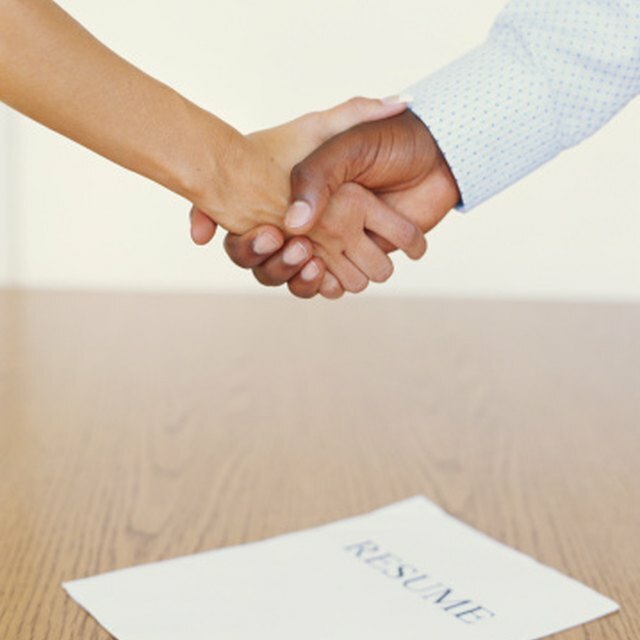 Conduct yourself professionally during the interview. Disregard your familiarity with the interviewers during the interview and concentrate on presenting yourself as formal candidate who will compete with other candidates for the position. Shake hands, listen attentively, answer confidently and act professionally. Follow up on the interview by sending a thank-you note to the interviewer. Include your gratitude for the interview and your eagerness to learn of the interview results.